Most people would agree that chrome trim looks great on just about any vehicle. This is why we offer Putco chrome door handle covers. Door handle covers from Putco are of the highest quality and so easy to mount, anyone can add them to their ride. 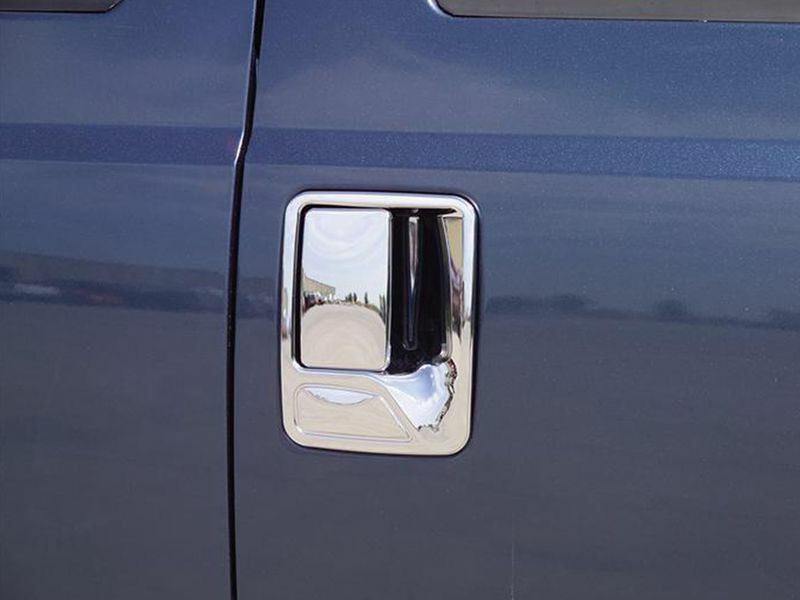 These chrome door handles are made with durable ABS that is chrome plated to perfectly match any factory chrome already on your car or truck. The manufacturing process Putco uses ensures that you get a precise fit. The chrome handle covers have pre-applied adhesive to make mounting as easy as possible. Putco chrome accessories are known to be of the highest quality and will look great for years. Upgrade your ride today with a set of these fantastic door handles! Putco Chrome Door Handle Covers offer an easy at home installation. Uses pre-applied 3M automotive grade adhesive tape, just peel, and stick (clean handles with alcohol prior to installation). For additional information please call us at 1-877-216-5446 or 701-253-5906.